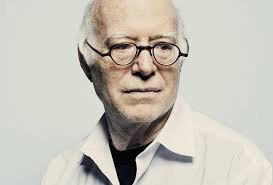 I first heard of Richard Sennett through a broadcast on Ideas in the later 1970’s. He was discussing his book The Fall of Public Man which had been published in 1974. 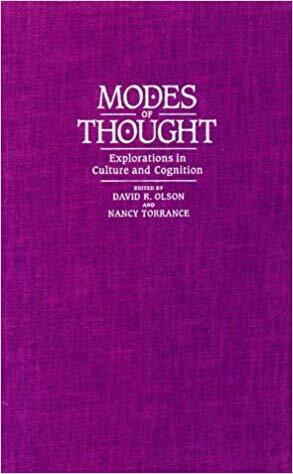 The book, in very curt summary, argues that public life has been diminished by the idea that the intimate and the personal is always more intensely “real” than the more formal and artificial gestures which inevitably structure the interactions of relative strangers in public. Sennett was reacting, most immediately, to that current of 1960’s thought which had argued that “the personal is political” and that the path to liberation lay in bringing the private out of the shadows and making it public. But he takes his story back to the 18th century when the public world, in his view, still provided a stage on which people could act at a certain remove from the nagging questions of identity - who am I? - which so dominate contemporary discourse. This public realm, he argues, was undermined by the cult of authenticity which began to take hold in the 19th century and now exerts almost total sway. 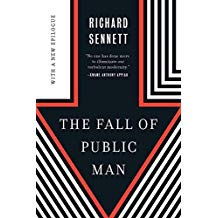 For me Sennett’s book was an aid to reflection on a topic which continues to preoccupy me today: what do we mean by the word public when we speak, for example, of public broadcasting. At the time The Fall of Public Man appeared, and even more today, most people involved in public broadcasting were in full retreat from any appearance of formality in their broadcasting style. The preferred stance is casual, the preferred tone familiar, as if one were addressing an intimate friend and not, as is actually the case, a distant stranger. Sennett helped me to develop a thought that had already begun to occur to me - that this collapse of the distance between broadcaster and listener might be a dangerous and de-politicizing illusion - the substitution of a self-serving mirage for real community. In 1992, as a result of an introduction from Ivan Illich, I visited Norwegian criminologist Nils Christie in Oslo and recorded several days of interviews that would be broadcast the following year as “Crime Control as Industry.” This set off an unexpected chain of consequences which kept me for a nearly a decade preoccupied with the question of crime and punishment. A number of series already posted on this site reflect this interest. They include, as well as the aforementioned “Crime Control as Industry,” “Prison and Its Alternatives” (1996), “To Hurt and To Heal,” (2000") and “In Search of Security” (2004). One of the most interesting books I came across during these amateur forays into criminology was Justice as Sanctuary by Dutch criminologist Herman Bianchi. It was first published in English in 1994 and has, happily, been kept in print by Wipf and Stock who republished it in 2010. At the time the book appeared in the English-speaking world, Bianchi was one of many thinkers who were then questioning the cruelty and irrationality of modern criminal justice “systems.” What I found striking in his work was his recuperation of Biblical concepts of justice and mercy, and his pointing out that monolithic conceptions of law are of relatively recent date. William Blackstone, for example, writing in his 18th Century Commentaries on the Laws of England says that ten different bodies of law were then in force in England, each exerting distinct but overlapping jurisdictions. 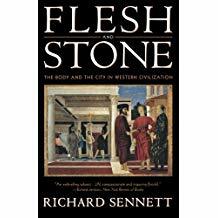 The types of law he mentions range from the “divine law” to the “law merchant.” The right of sanctuary from which Bianchi’s book takes its title is a case in point. Churches afforded sanctuary because within their walls the divine law applied, not the criminal law. From such a sanctuary someone who had committed a wrong could attempt to negotiate restitution and settlement. The contemporary offender stands in the dock without initiative or dignity. The fact that he or she has committed a personal wrong that might in some way be remedied hardly matters - it is “society” and its monolithic law that must be satisfied. I was fascinated by Bianchi’s book, and, in the spring of 1997, I arranged to interview him. He received me, very hospitably, in his snug converted farmhouse in Friesland, a northern province of The Netherlands. There over two days as his guest I recorded the interviews that make up this series. It was broadcast in the fall of that year. Herman Bianchi died in 2015. I never met him again and never really found out what he thought of the programs I made. It seems to me that they remain as interesting and challenging today as they were twenty years ago.